Professor John Bowman has broad expertise in the field of non-clinical applied and basic microbiology. His research interests span the areas of food microbiology, microbial ecology, molecular microbiology, functional genomics and proteomics. His focussed interests are on cold adapted bacteria, the food-borne pathogen Listeria monocytogenes, red meat microbiology, salmon-associated microbiology, soil microbiology relevant to agricultural systems, barley malt associated microbiological issues, and microbial systematics in general. Professor John Bowman is Leader of the Centre for Food Safety and Innovation at the Tasmanian Institute of Agriculture. He has authored or co-written over 130 journal articles and book chapters, including contributions to major texts in microbiology such as The Prokaryotes and Bergey's Manual of Systematic Bacteriology. Other publications have been in diverse fields including biotechnology, bioremediation, and new technologies and methods in microbiology. 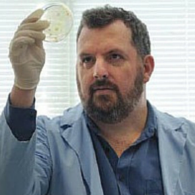 He has supervised 25 PhD graduands and has received the Australian Society for Microbiology Fenner Award for outstanding research achievements in microbiological research. John is a currently an ARC College Member (BSB Panel), on the Bergey’s Manual Trust, a member of the International Committee on Prokaryote Systematics and the Microbial Ecology Convenor for the Australian Society for Microbiology. Professor John Bowman's career before and at UTAS has spanned broad areas of microbiology, ranging from studies of microbial diversity and physiology, to applied research solving problems in food production systems, aquaculture systems, and polluted environmental sites. His current research aligns with the University of Tasmania's research themes Marine, Antarctic and Maritime; Environment, Resources and Sustainability; and eventually Data, Knowledge and Decisions. In Antarctic based and marine research, John is collaborating with the Institute of Marine and Antarctic Science to study marine microorganism survival, physiological strategies and interactions with other life. Given the huge scope of the marine environment, John focuses on looking at sea-ice microbes, microbes associated with aquaculture systems, and fungi that seem to cause diseases in various marine fauna and flora. The sea-ice work focuses on survival strategies of algae and bacteria. The aquaculture related research has two aspects - salmon production (see below) and molluscan larvae survival in artificial systems. The marine fungi research is a collaboration with Professor Gustaaf Hallegraeff and examines bioactive compound production and interactions of pathogenic marine Aspergillus. John is very interested in food microbiology and food production systems. For the latter, he has projects that are investigating farmed Atlantic salmon, exploring the link between production outcomes and salmon gastrointestinal microbiology. This research involves collaboration with salmon producers and feed companies, and focuses on studying microbes that dwell and grow within salmon, which impact on growth rates and overall health. Similarly, John has a nascent activity in examining how soil communities respond to carbon amendments in agricultural systems (for example, orchards) that he hopes to extend more broadly to soil management issues that coincide with the drive to increase Tasmania's agricultural output. John is also involved in research funded by Meat and Livestock Australia, defining the nature of shelf-life of Australian produced red meat. The goal is to develop safer meat products with reliably excellent shelf-life stability for export. The end goal is to develop a decision based tool app that can be used to rapidly assess meat quality by producers, shippers and retail, helping to reduce wastage and improve supply chain efficiency. Research is also being conducted on developing a molecular based test for fungal/yeast-associated quality problems associated with malt used to brew beer. Modelling approaches pioneered in the University of Tasmania food microbiology team play a large role in the success of this research. Other research activities include more bioinformatically dependent research focussing on the survival of the food borne pathogens Listeria monocytogenes and E. coli. This research relies heavily on the use of proteomic and transcriptomic based technology. John Bowman has published more than 130 journal articles listed on Scopus or Web of Science (as JP Bowman or J Bowman), that have attracted more than 5700 total cites (~5500 non self-cited). His h-index equals 42, with his primary field of research being microbiology. Journals he has published are wide ranging due to the eclectic nature of his research. He has published a substantial proportion of papers in journals with impact factors of >3 (including for example The ISME Journal, Journal of Proteome Research, Genome Biology and Evolution, Applied and Environment Microbiology, Food Microbiology, International Journal of Food Microbiology, Molecular and Cellular Proteomics and Environmental Microbiology). He has published several book chapters and sections in widely read scholarly microbiology texts for example 'The Prokaryotes' (Springer, New York) and 'Bergey's Manual of Systematic Bacteriology' (Springer, New York). John is also on the editorial board for FEMS Microbiology Ecology and the International Journal of Food Microbiology, as well as an associate editor for the International Journal of Systematic and Evolutionary Microbiology. Since being at the University of Tasmania, John Bowman has obtained approximately $3.5 million funding. Grants include four ARC Discovery Grants, two ARC Linkage Grants, and an ARC Research Fellowship. He's obtained near continuous funding from the Antarctic Science Scheme since 1996. Funding has been obtained from several research and development corporations, including Meat and Livestock Australia, Dairy Australia and Grain R&D Corp. Funding has also been obtained from CRCs, and from several industrial partners and various other minor schemes. Existing funding is diverse and highly collaborative with engagement in both applied and basic research. This is a PhD project located at IMAS and funded by Cawthron Institute, NZ from a MBIE grant.This is an exciting opportunity to link in with international research on aquaculture of a salmonid species (chinook salmon) and to gain skills and experience in forward looking technology around molecular biology and recirculation aquaculture systems. The research will focus on understanding the impact of genome (family) and environmental change under controlled conditions on chinook salmon. Environmental variables include temperature, salinity and pH because these impact on local NZ industry performance and sustainability. Research will advance fundamental knowledge about the chinook salmon proteome and how proteomics can be used to understand drivers of growth and growth efficiency. The project will develop proteomic based methods and relate this to other molecular based approaches. The research will contribute to sustainable aquaculture by understanding what happens to salmon when exposed to various situations that may be encountered in aquaculture. It will equip you with a range of new skills from maintenance of fish to advance molecular analyses. USDA-ARS and UTAS are the principal partners of ComBase (www.combase.cc), the largest public database of predictive microbiology information that supports food companies. UTAS is in the process of establishing a Collaborative Agreement with USDA-ARS, in which UTAS is designated the Managing Partner. UTAS is seeking financial contributions to support the costs of operating ComBase, the majority of which funds are need to support the database/web programmer; UTAS currently has a contract with the vendor (Daniel Marin). ARS has indicated it will provide $62,000 USD towards funding ComBase in calendar year 2017. In summary the project is PhD candidate research that will answer questions relating to gut microbiome to Atlantic salmon health and production. The salmon industry is Tasmanias single largest agri-sector. The value of salmon output was $531 million out of $1840 total farm/beach-gate proceeds (2013/2014 DPIPWE). Salmon production issues currently are a persistent issue in the industry in some sites, especially warmer water south east Tasmanian leases. Thus production issues have come to a head especially with the controversy related to Macquarie Harbour, which suffers from nutrient pollution issues (unlike sites through the Channel and coastal SE Tasmania). The industry is becoming increasingly interested in deeper research in the matters surrounding how gut microbiomes, feed digestion, growth performance and environmental conditions intersect. Optimisation of management in changing conditions requires knowledge in this areas especially in order to avoid reliance on antibiotic mitigation strategies. The project leader has now worked in the area for a number of years and is developing by degrees and international reputation in the area. This is in collaboration with a team at CSIRO (and colleagues at the University of the Sunshine Coast) who are also involved in salmon research, especially salmon breeding. The main questions fit within a PhD program but is multidisciplinary as it involves not just microbiology but also aquaculture science, nutrition, and fish physiology and genetics. This is a complex area where several factors intersect to complicate causal relationships, however research is vital for the future of the industry in terms of growth, sustainability and viability. The proposed project will involve purchase of chicken meat samples at retail in Tasmania and examination for levels of Campylobacter bacteria (focussing on spp. coli and jejuni). The aim is to test the hypothesis that levels of Campylobacter in Tasmania are higher than those in other parts of Australia, and can explain the higher prevalence of Campylobacteriosis in Tasmania.This work will contribute to public health policy and planning in the area of microbial food safety in Tasmania, and may contribute relevant information for other users nationally and internationally. The main purpose of the project is to assess the bacterial communities present in Atlantic salmon hindgut. The project involves working with Skretting Australia, which supplies feed to the Tasmanian salmon industry. Samples will be obtained from salmon grown in a high temperature nutrition experiment at the Experimental Aquaculture Facility, IMAS, Taroona. In brief, adult Atlantic salmon are fed four different experimental diets while being exposed to different temperatures including mild temperature stress and lower temperature recovery phases. The gut microbiome will be assessed by next generation sequencing and data compared against a database developed by the CI John Bowman. The outcomes will let us know more about the effect of thermal stress on Atlantic salmon and the gut microbiome as well as define effects of diets that could provide improved growth and health performance outcomes in relation to diets currently used. This experiment repeats a previous experiment (performed late 2016) to confirm results. Overall, outcomes will provide useful information on how to better manage temperature stress, which impacts salmon productivity during Summer, above what techniques are currently used by the industry. The aim of the Training Centre is to conduct industry-focused research that bridges knowledge gaps in our understanding of fresh produce safety vulnerabilities along the value chain. The significance is that there is limited research on fresh produce risks and mitigation strategies appropriate for the Australian context. The intended outcomes will be enhanced understanding of food-borne pathogens and their interactions with fresh produce, plus science-based, industry-focused, ready to use solutions to managing food safety in the industrial context. The intended benefit to industry is increased confidence in Australias fresh produce and improved access to export markets, plus a new generation of highly-skilled food safety scientists. To assess the prevalent bacterial communities present in Atlantic salmon hindgut content in faecal samples obtained from salmon grown in a historically warm region from December 2015 to May 2016. Atlantic salmon are fed two different diets. Samples will be collected by farm staff as part of Skretting monitoring of farms to determine farm performances related to feeds. This project is to To assess the prevalent bacterial communities present in Atlantic salmon hindgut content in faecal samples obtained from salmon grown in a historically warm region from December 2014 to May 2015. Atlantic salmon are fed two different diets. Samples will be collected by farm staff as part of Skretting monitoring of farms to determine farm performances related to feeds. Premature Yeast Flocculation (PYF) is an intermittent but substantial problem for effected brewers causing substantial losses when PYF malt is inadvertently used. International brewers are becoming increasingly aware and concerned about PYF and this concern is spreading to our major market, China. PYF is not just a maltsters problem but also a growers problem since its origin is in the microbial flora on the grain. Various papers in the literature have researched microbial populations in the gut and gills of farmed Atlantic salmon and their relationship to fish health. Research has included overt conditions such as Summer Gut Syndrome and AGD. However, there is also growing interest internationally on more subtle aspects of the impact of microbial populations on gut, gill and general fish health and production performance. This is an area of investigation that Huon and a number of industry collaborators are particularly interested in. A program of research on this topic will help to better understand the impact of nutrition, in-feed bioactive compounds and environment on gut and gill microbial populations and associated histology. The aim of this project is to assess the prevalent bacterial communities present in Atlantic salmon hindgut content in samples obtained from fish grown in two different regions (cool versus warm waters) from November 2013 to June 2014. The research will focus on the area of microbial ecology and physiology. It will: perform a significant body of research work relevant to the food safety program plan; dedicate and develop personnel to work on projects and issues relevant to the red meat sector; and develop high level expertise and consultancy capability to contribute to the direction of red meat food safety research, responding to industry issues, and providing advice to individual businesses. John Bowman has mentored more than 25 PhD and Masters by Research graduates. He currently supervises or co-supervised nine PhD candidates. He is most interested in potential PhD Scholars who desire to research non-medical microbiological topics. Such topics are restricted to existing projects within the School of Land and Food or existing projects with external collaborators. PhD Is Proteorhodopsin a General Light-driven Stress Adaptation System for Survival in Cold Environments?